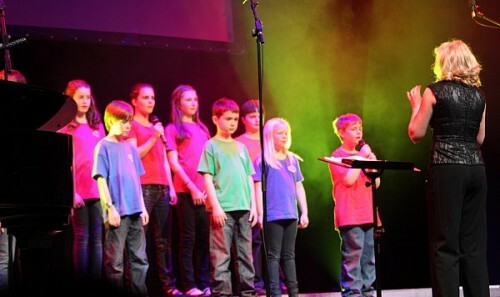 The Surrey Hills Young Voices is an independent choir for all children from any school aged 8+. 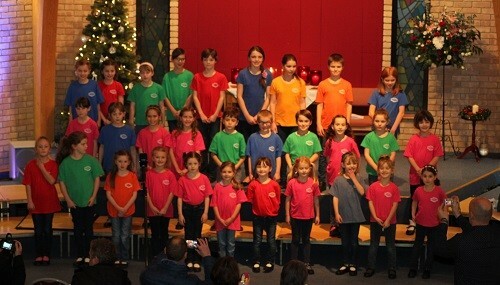 We sing all styles of music, especially popular, musical and gospel songs, which our young members enjoy the most. Particular favourites have been Price Tag, Pack up your Troubles, Firework, Don’t stop Believin’, We go together and Under the Sea. 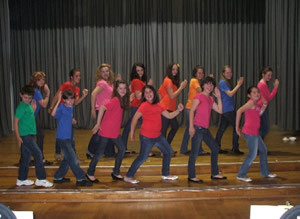 The Surrey Hills Young Voices have already built an excellent reputation and are regularly invited to perform at the invitation of local organisations. The Young Voices performance as the Surrey Hills Workshop Choir 2010 at the inaugural Cranleigh Music Festival was extremely exciting. 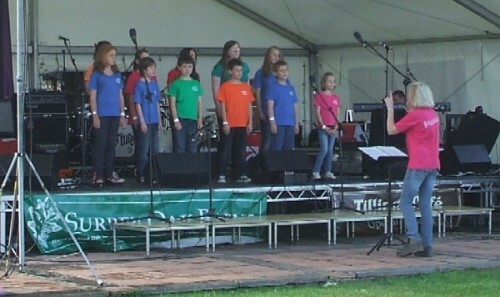 In July 2011 the Young Voices performed at the Big Day Out Event at Hurtwood Park Polo Club. Singing in a choir is great fun and the benefits are not only in improving your singing. For those learning an instrument, singing will improve other musicianship skills such as aural skills. For woodwind players and sports fanatics, the physical aspects of breathing, posture and coordination are very beneficial. 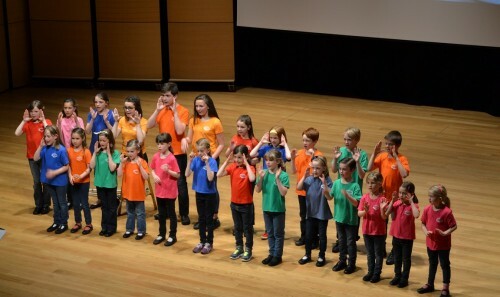 Reading and memory skills also improve through learning the songs and children soon understand that for the choir to perform well, working as a team is essential. As well as learning songs, members are taught musicianship skills such as rhythmic patterns, structure, scales, triads, harmony etc. Vocal technique is also included in the sessions through the warm-up and polishing songs. Come along and try the choir any time. Trial rehearsals are free of charge.